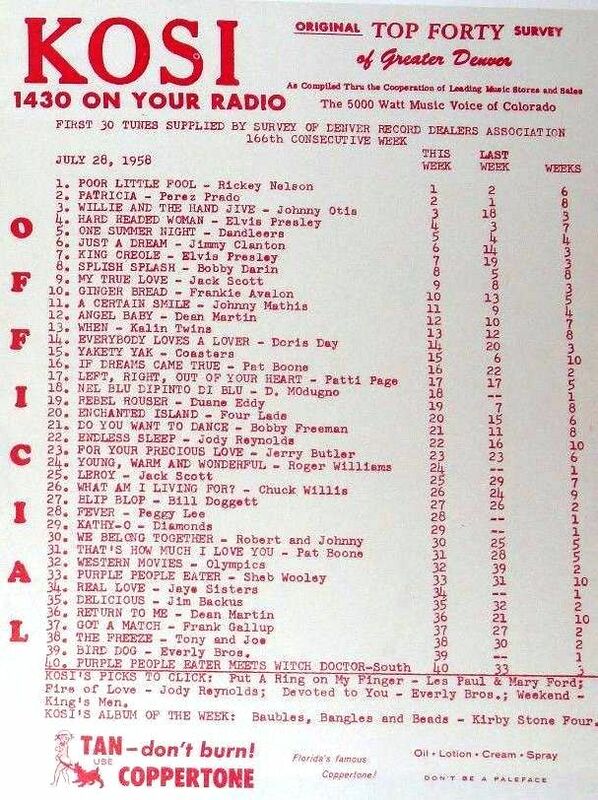 One of the earliest if not the earliest radio stations to appear on the Denver airwaves was station 9ZAF which was established in 1920 and operated out of the home by it’s creator Dr. William Reynolds – a dental physician. 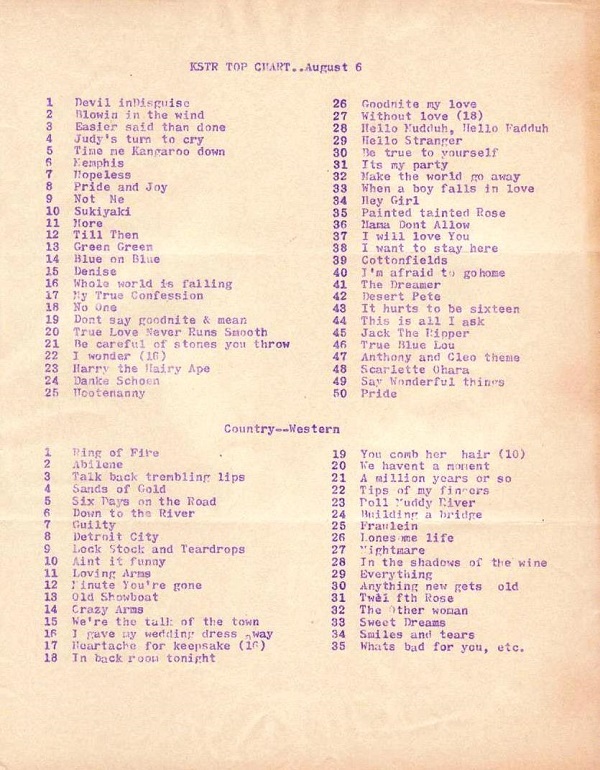 The next year – 1921, KFKA in Greeley went live. 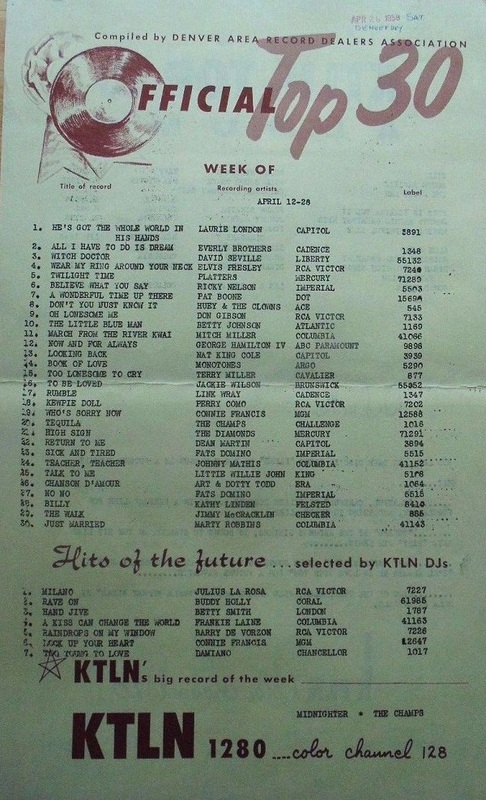 In 1922 Dr. Williams’ 9ZAF changed over to become KLZ radio. 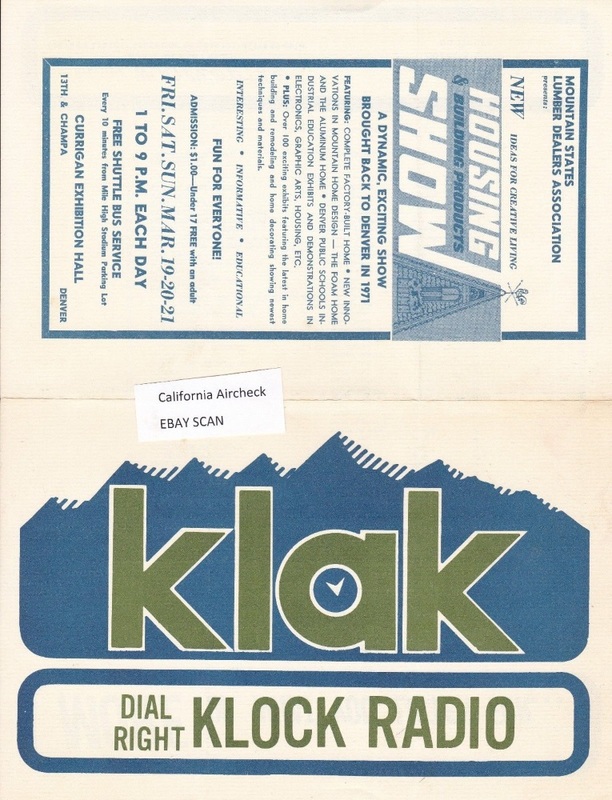 Several stations would begin broadcasting during the 1920’s including KFEL (1923), KOA (1924) a long-time leader in the Colorado marketplace and an eventual NBC affiliate. Lots of activity and changes followed for KOA. 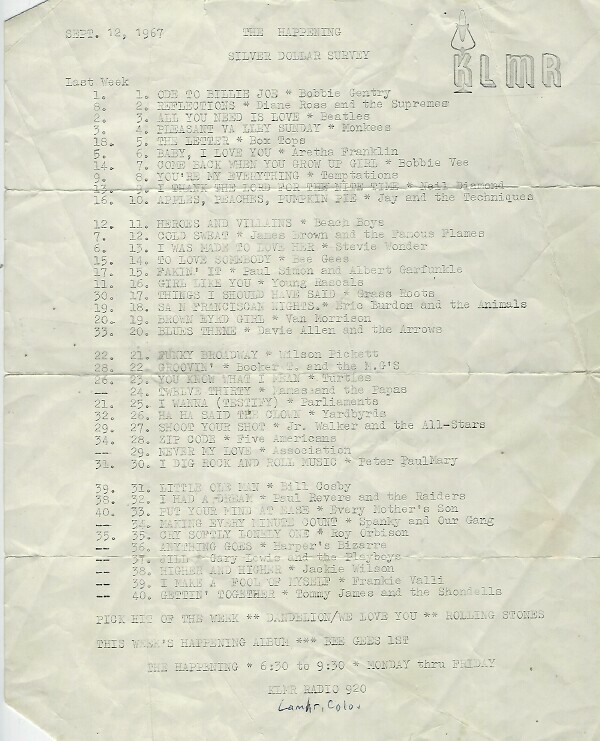 Then in 1953 Gene Price started up KVOD which was called “The Voice of Denver”. 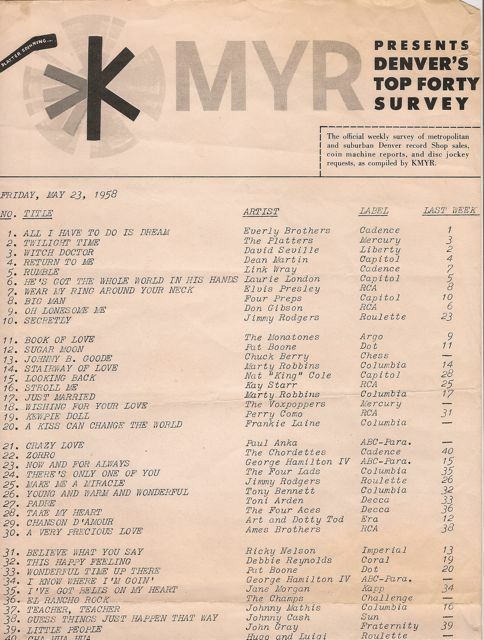 For us Baby Boomers, a significant development occurred in 1954 which would affect our growing up years in the Mile High City: Station KFEL was purchased by a Utah media concern which was affiliated with the Inter-Mountain Network or “IMN” which sparked the name change to “KIMN”. In 1955 perhaps the most popular as well as a member of the “Fabulous Five” KIMN Jocks arrives Pogo Pouge who would remain for ten years. 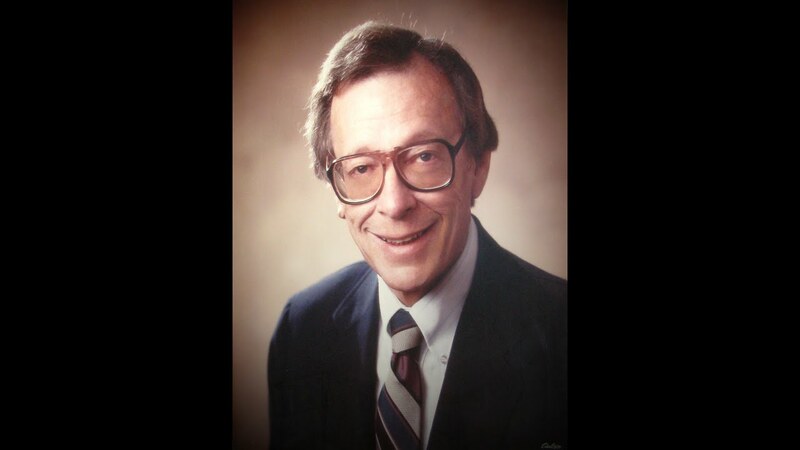 Other members of the five included Roy Gunderson (see below), Glen “Boogie” Bell, “Rolls” Royce Johnson and “Smilin” Jack Merker – a truly impressive line-up leaving us all with many fond and lasting memories. 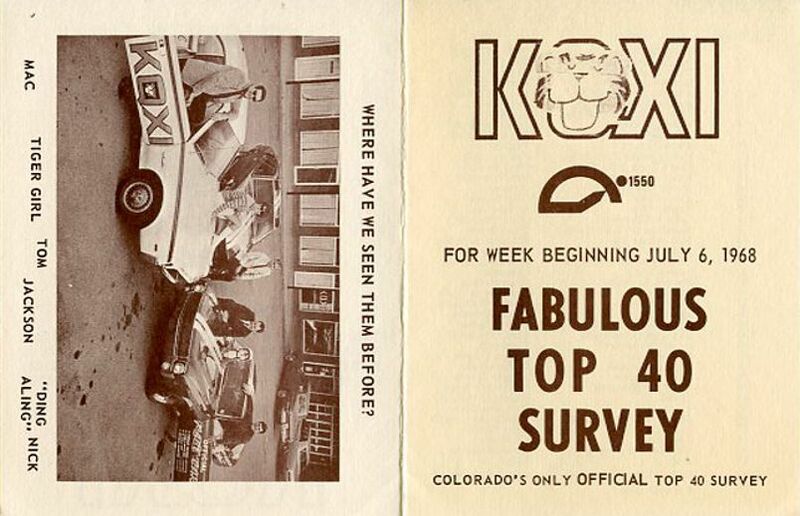 In 1957 an Omaha DJ comes to Denver from station KOIL. 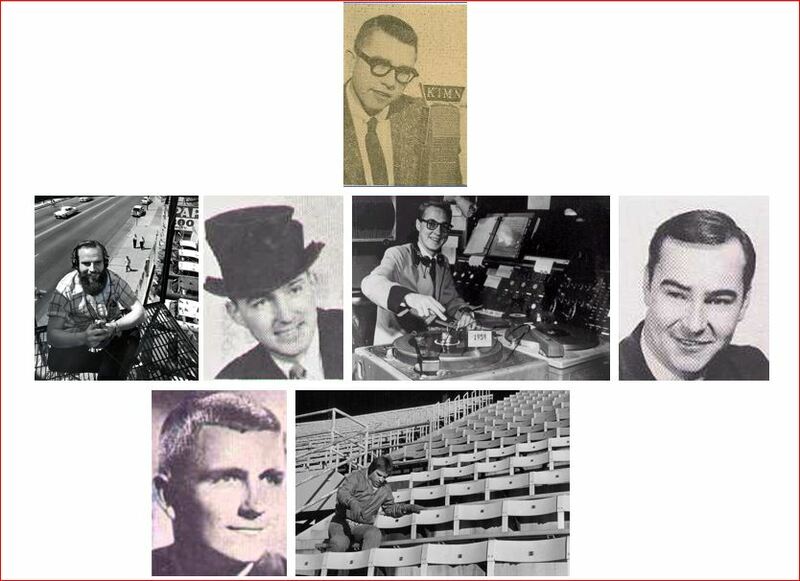 His name was Gary Owens and he becomes one of the very early “Boss KIMN Jocks”. Owens would go on to national fame as announcer for the mega-popular television weekly entertainment program “Laugh-In”. 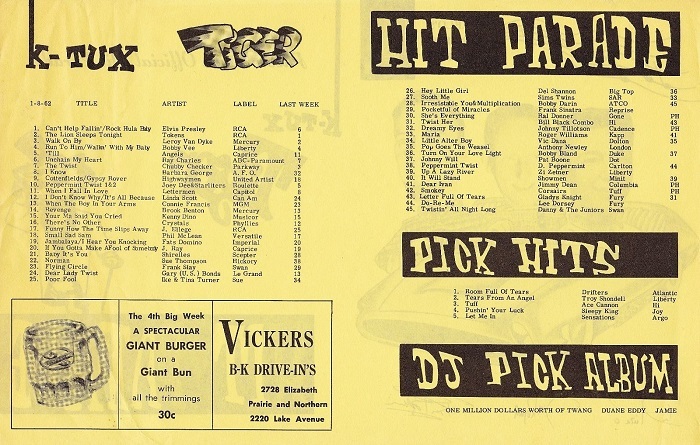 In 1958 five KIMN Boss Jocks perform a “flag pole sit” publicity stunt changing the persona of the local DJ. The same year, the very popular Roy “The Bellboy” Gunderson arrives to join the KIMN Jocks. 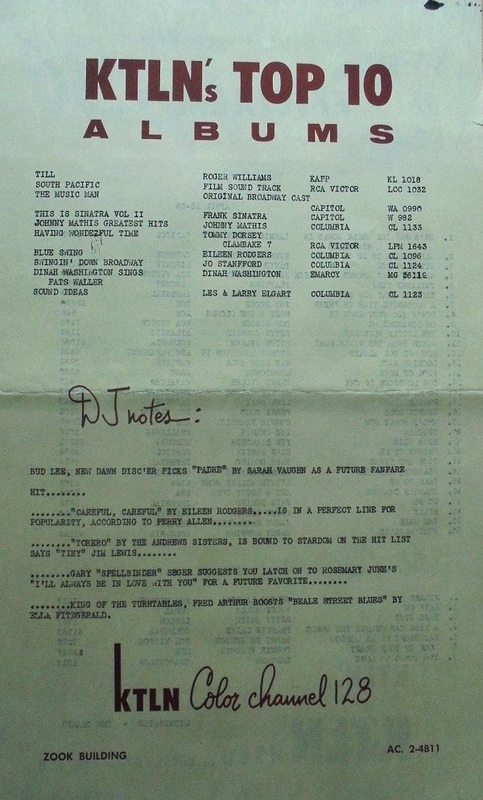 In 1960, KIMN is sold to Ken Palmer a former KOA exec and Bob Donner Jr. In 1961 KIMN Jock Pogo Pouge sits in a snake pit for publicity and is promptly bitten but survives. 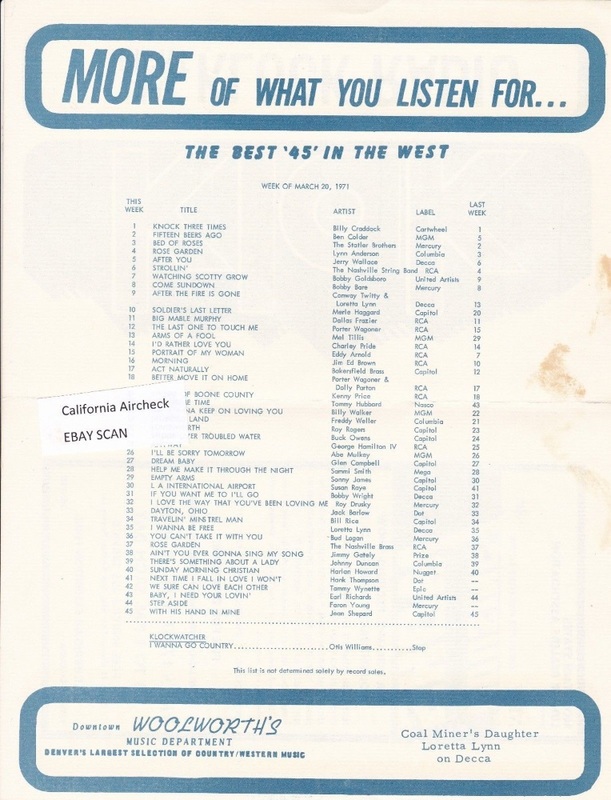 1963 was a huge year for KIMN listeners with the arrival of the immensely entertaining Jay Mack along with Chuck Buell. 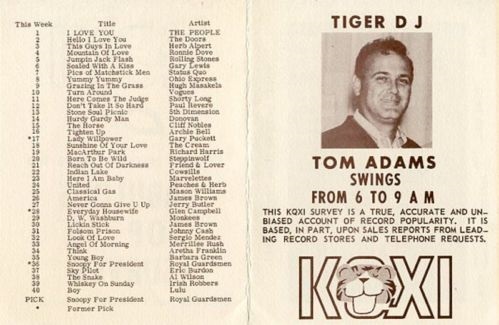 Others would come before the end, Hal Moore, Steve Kelly and Paxton Mills being three of the best ever on KIMN (Kelly arriving in 1977 the same year as the arrival of the popular KIMN Chicken the station mascot. Steve Kelly was a consistent supporter of KIMN causes one being sitting in every single seat in Mile High Stadium a stunt which placed him in the hospital. 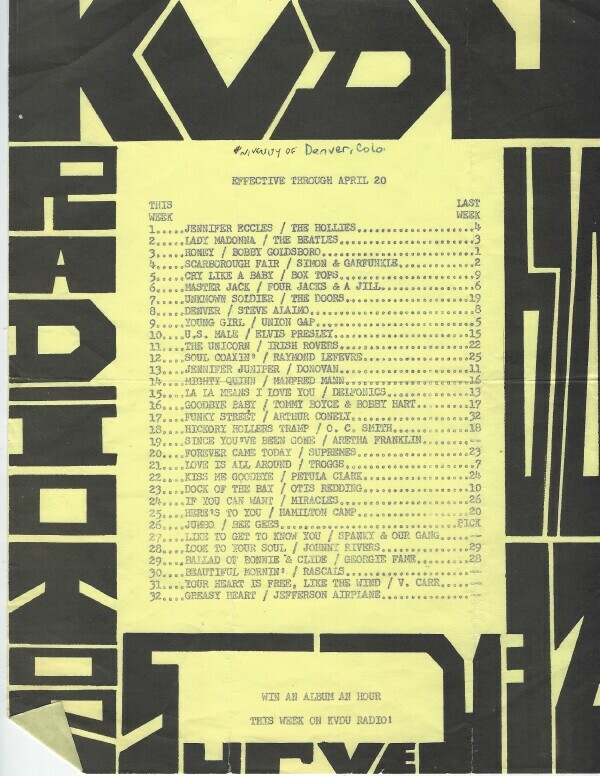 In 1984 KIMN stages a 30th year anniversary blow-out featuring many of the old faces and jocks. 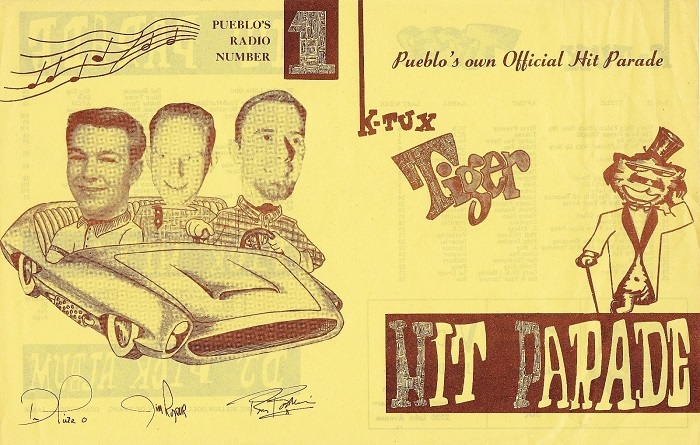 After a long-time assault from FM Radio – the fragmentation of the rock genre and loss of income for operating expenses KIMN – the “Denver Tiger” ceased broadcasting forever in April of 1988. The final words spoken on Fabulous KIMN were “Thank You Ken Palmer”. 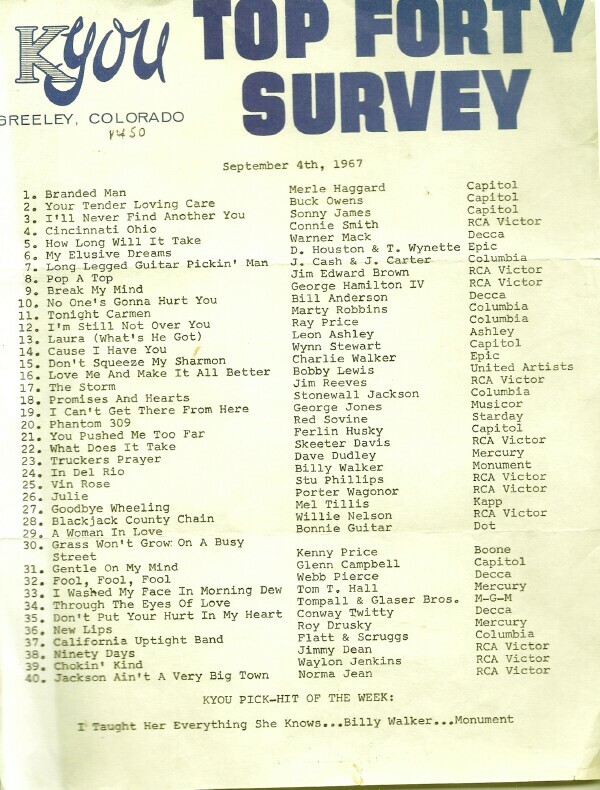 KIMN Radio was inducted into the Colorado Music Hall of Fame – Amen!